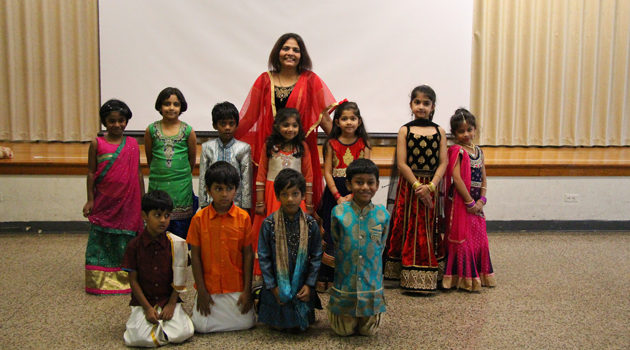 BASCS Elementary held an assembly to celebrate Diwali, the Hindu holiday meaning the festival of lights and a time when Indian people all over the world rejoice. 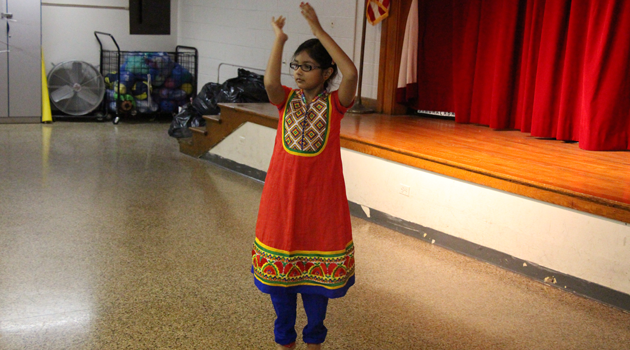 Shivanshi Dutt from Second Grade did a great job explaining to everyone why we celebrate DiWali, as well as Mrs. Shah’s wonderful presentation explaining the meaning of DiWali and ways in which it is celebrated. We had a special treat with several of our students who did performances. We first enjoyed listening to Joel Sahayajayaseelan from Second grade who did a fantastic job playing a few songs for us on the keyboard. Afterward, we had the pleasure of watching Ayana Jakhar, Chaarvi Chavan, and Sannvi Singh from First grade perform an Indian dance for us. We want to give a special thank you to Mrs. Sapana Shah for organizing such a wonderful event and to all our parents who prepared the delicious Indian food which was displayed for everyone to enjoy.